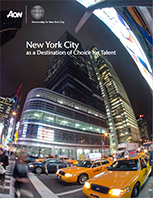 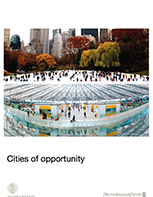 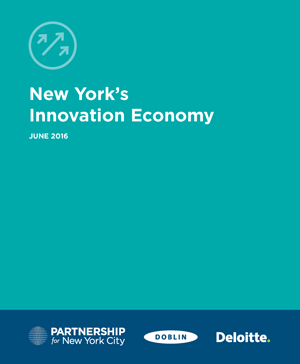 New York has a significant opportunity to increase economic activity through a strategic focus on attracting and retaining foreign companies, particularly in the tech sector. 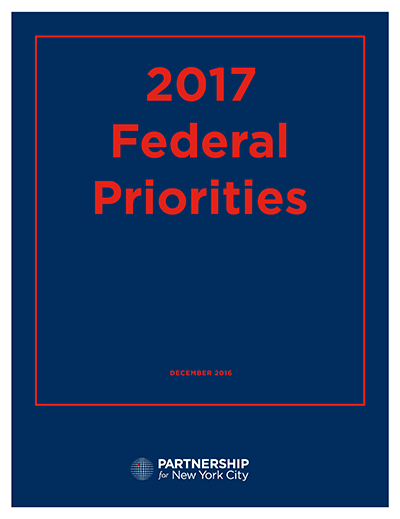 Shortly after the Presidential election, the Partnership surveyed CEOs to solicit their views on the top federal priorities for 2017. 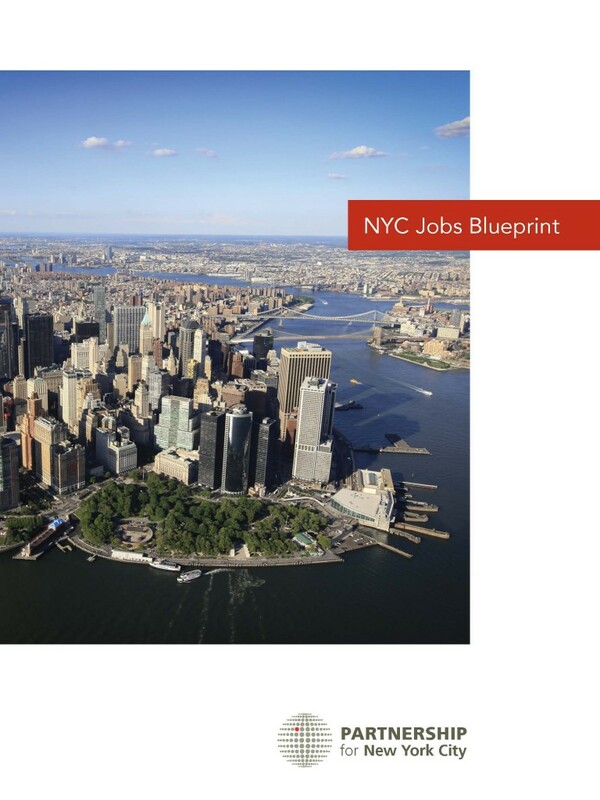 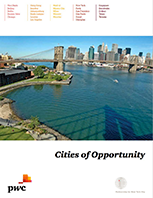 A set of recommendations for collaborative actions that the public and private sectors might take to insure that NYC remains a strong, inclusive city of opportunity. 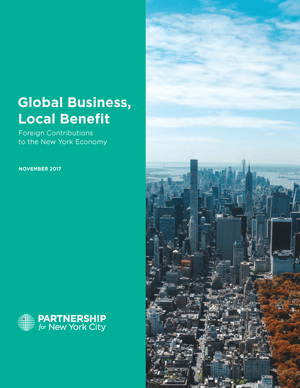 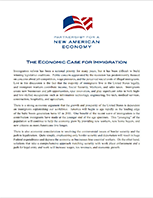 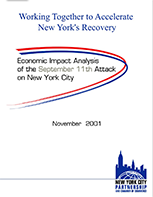 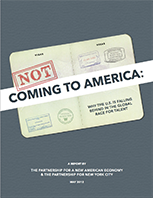 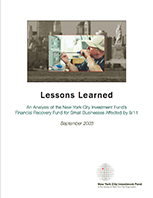 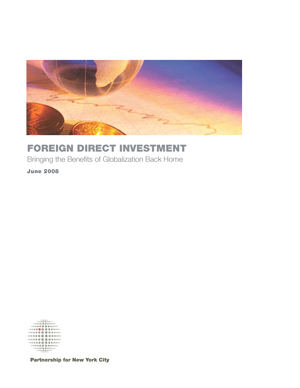 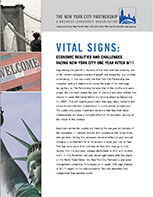 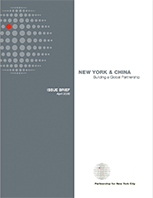 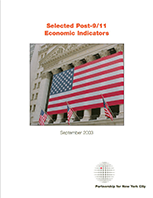 New York’s economic success is increasingly dependent on business operations established here and controlled by foreign-owned companies, known as Foreign Direct Investment. 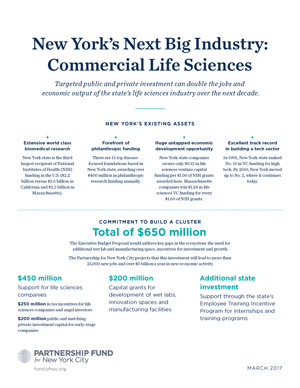 Targeted public and private investment can double the jobs and economic output of the state’s life sciences industry over the next decade. 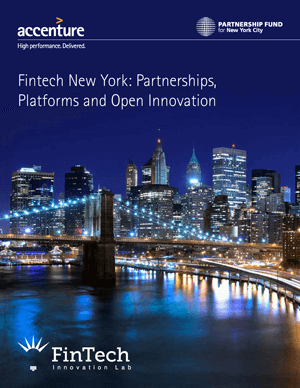 In the United States and globally, New York is quickly becoming the center of fintech innovation. 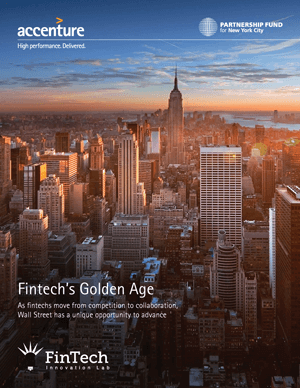 are engaging with the fintech community. 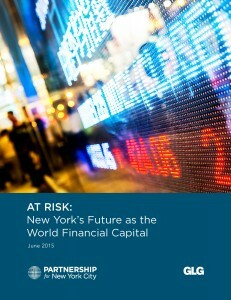 to its strength as a world financial center. 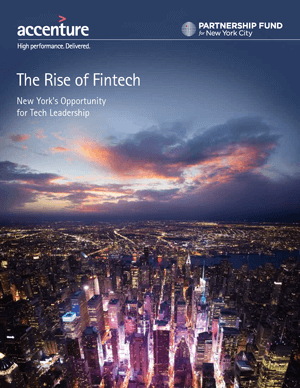 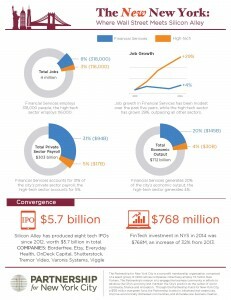 The Partnership compiled data on the financial services industry and the high tech industry in New York, noting the convergence between Wall Street and Silicon Alley. 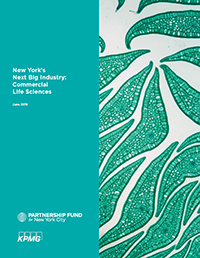 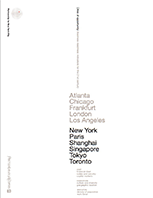 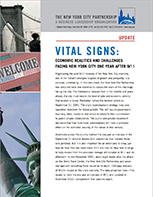 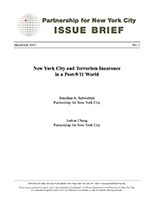 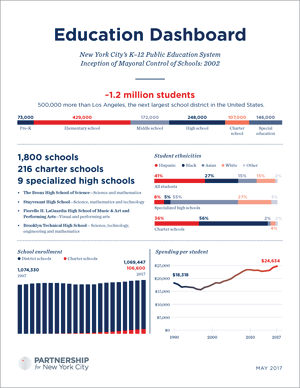 The Partnership compiled data on the impact of the technology, advertising, media and information (TAMI) sectors in New York City. 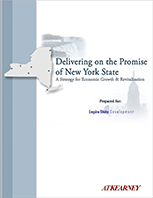 In the face of the worst fiscal crisis in its history, New York State is seeking creative ways to leverage its assets and increase its revenues — preferably, without raising taxes. 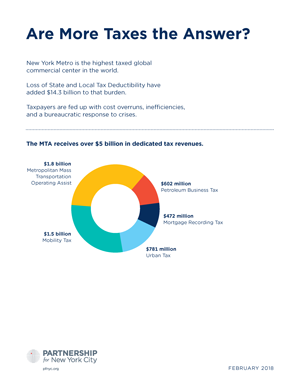 New York Metro is the highest taxed global commercial center in the world. 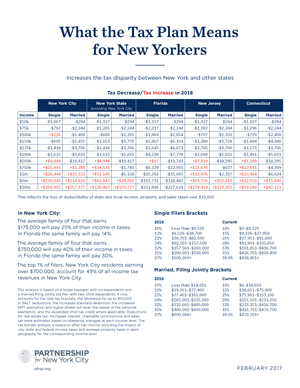 The average family of four that earns $175,000 will pay 25% of their income in taxes; in Florida the same family will pay 14%. 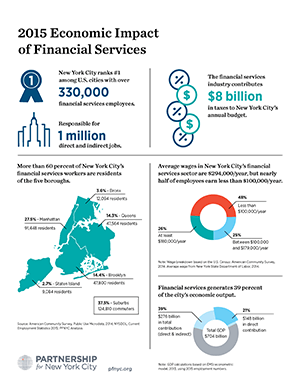 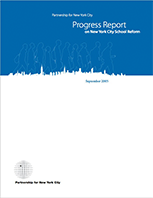 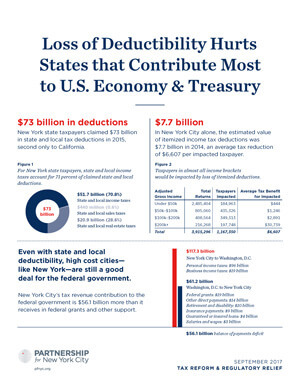 New York City’s tax revenue contribution to the federal government is $56.1 billion more than it receives in federal grants and other support. 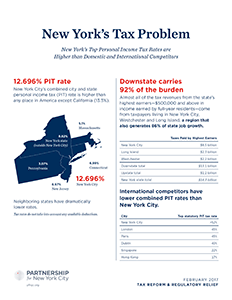 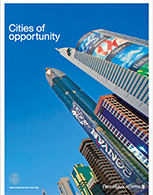 New York’s top personal income rates are higher than domestic and international competitors. 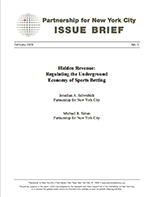 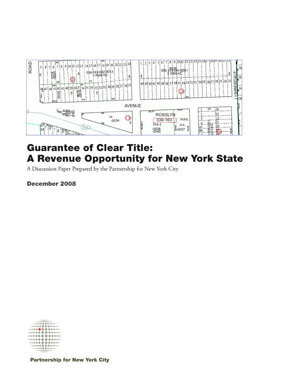 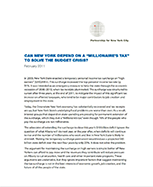 Can New York Depend On a “Millionaire’s Tax” to Solve the Budget Crisis? 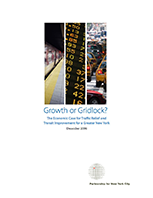 Traffic congestion will be a $100 billion drag on the New York metro area economy over the next five years unless something is done to discourage cars and trucks from crowding the streets and highways of the region during the busiest times of the day. 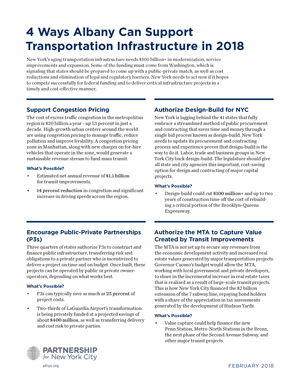 New York’s aging transportation infrastructure needs $100 billion+ in modernization, service improvements and expansion. 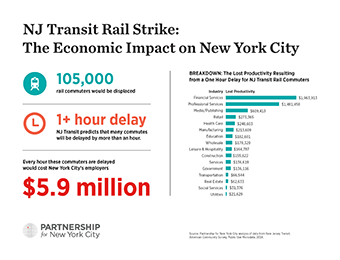 The economic impact a NJ Transit rail strike would have on New York City employers. 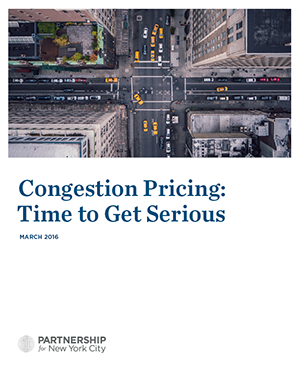 While congestion pricing is something New York City should seriously explore, the benefits of MoveNY are open to question and depend on actions and investments by state and local government. 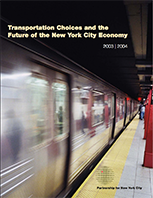 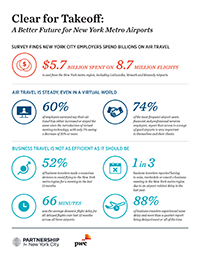 The Partnership for New York City undertook this study in order to establish the full economic costs of air traffic congestion at the three major airports serving the New York Metropolitan Region. 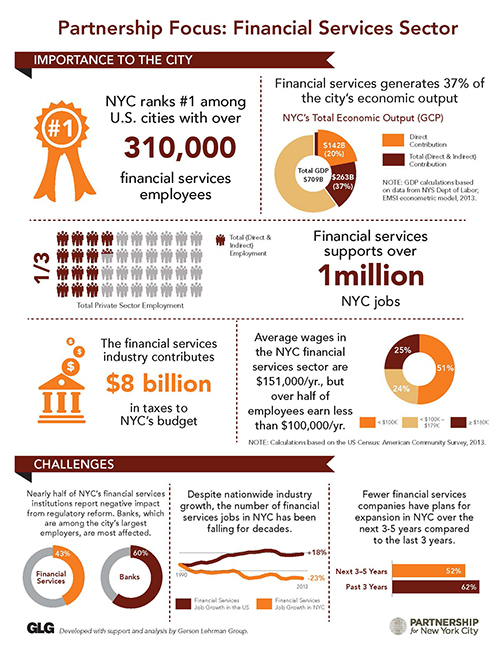 New York City has twice as many homeless people as any other city in the U.S. 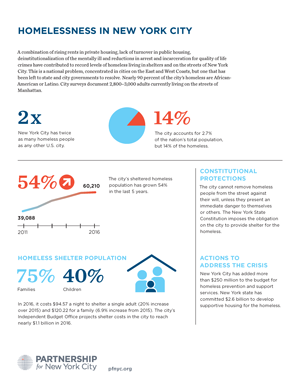 The city accounts for 2.7% of nation’s total population, but 14% of its homeless population. 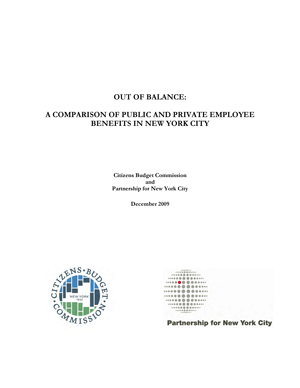 of work for over six months. 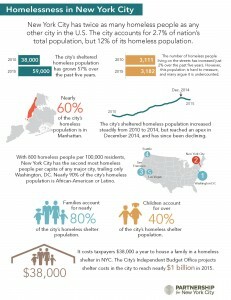 New York City has twice as many homeless people as any other city in the U.S. 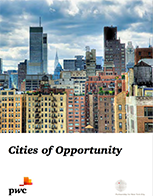 The city accounts for 2.7% of nation’s total population, but 12% of its homeless population. 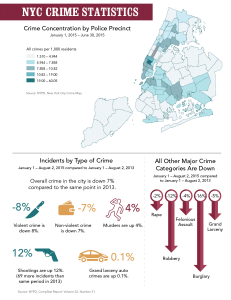 The Partnership compiled crime statistics from across the five boroughs, looking at both violent and non-violent crimes. 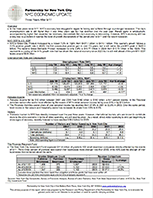 The statistics display the concentration of crime by police precinct and track the rates of crime since 2013.